The 71st World Health Assembly concluded here today through forming different committees and taking different decisions to ensure health protection across the world. World Health Organization (WHO) Director General Dr Tedros Adhanom Ghebreyesus addressed the concluding ceremony and expressed hope to see the future world health protected. He also expected that the WHO member states would take different initiatives to achieve universal health coverage (UHC), control non-communicable diseases and bring down the mortality rate from cholera by 90 percent by 2030. 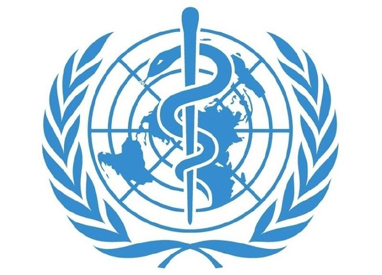 Earlier, the 71st World Health Assembly began on May 21 at the UN building in Geneva with the aim to overcome barriers to ensure universal health coverage of the mankind across the globe. Swiss President Alain Berset officially inaugurated the WHO assembly. Heads of 194 member states and governments along with health ministers and officials concerned took part in the assembly. A delegation from Bangladesh led by Health and Family Welfare Minister Mohammed Nasim also took part in the assembly. The delegation today left Geneva for home after attending the concluding ceremony. "The assembly has become successful. My speech delivered at commonwealth and plenary session was lauded, especially the role of Prime Minister Sheikh Hasina in sheltering the Rohingyas on humanitarian ground was praised by the world leaders during the assembly," Nasim told BSS after attending the concluding ceremony of the WHO assembly. "We will take effective measures to implement the decisions taken in the assembly after returning home," he said. Additional Director General of Directorate General of Health Services (DGHS) Professor Dr Enayet Hossain, Chairman of Bangladesh Homeopathic Board Dr Dilip Roy and Project Director of community clinic Dr Abul Hashem Khan were the delegation members, among others. However, the WHO Executive Committee is scheduled to meet from May 27 to 28 here.